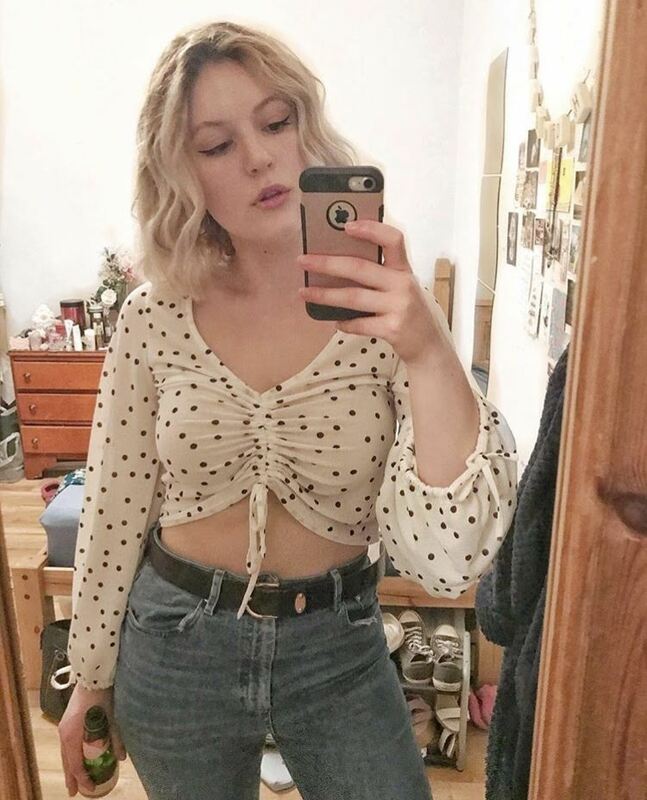 The shops I visited were like a treasure trove, the first thing I saw when I went in to the first was a whole rack of vintage chunky cardigans at prices far more reasonable than in Topshop! The first place we visited I bought this navy oversized cardi which you can see me wearing in a previous post, and I also acquired two more of my Dad's old jumpers to with the burnt orange one above. No idea what I can wear the mustard-y brown coloured one with though! Then we walked to the next vintage shop (passing several adult shops on the way errr dirty) and I picked up 3 vintage scarves which I've been wearing in my hair since. 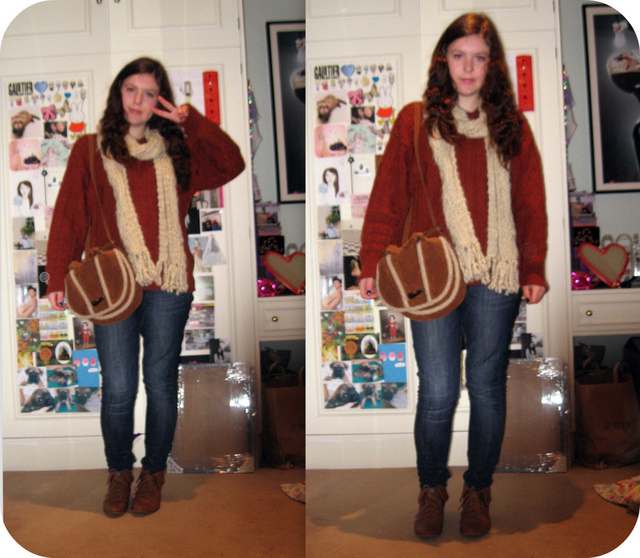 Then went to the highstreet shops which were so dissapointing in comparison! I had a Topshop gift card from Christmas to spend, yet all I found was this necklace and a make up brush - no bargains on the sale rack at all. Also went to Boots to pick up the hair dye (see below), my favourite eye primer and some hairspray (notice how I specifically chose the can which was not endorsed by Cheryl bloody Cole). Also, I've added a like option at the bottom which is quicker than commenting, just click it and it doesn't load a new page or anything. May be helpful as I'm not sure whether people are reading my blog and not commenting or not reading my blog at all; in which case how do you let people know your blog exists?! ooh sweet sweaters, I love a good charity shop find!